It is I, a German woman who finished reading your book a few days ago. I`m really thankful to have learned English, when I saw the interesting book cover of your book on Amazon. I would have missed an amazing novel if I couldn´t. “Dolphin Way- Rise of the Guardians” was a truly fascinating story. The effort you put into the plot was palpable on every page. Whenever a novel with animals as protagonists is written I wonder: How much – as I call it – intelligent anthropomorphism is in it? The answer for your novel would be: Fascinating. I really, really liked the idea of dolphins interpreting the shades in the water as a way of fortune telling. Very clever idea. I chuckled when I read that “the moving lights” in the sky which appeared fifty years ago are interpreted as water filled orbs with beings who travel in them. That was really funny. If I were a dolphin and thought about planes I would probably come to the same conclusion. I also want to applaud you for giving the dolphins of your novel an actual character and not portraying them as “permanently friendly, in-love-with-every-human plush-toy of the ocean”. I`m sick of that. 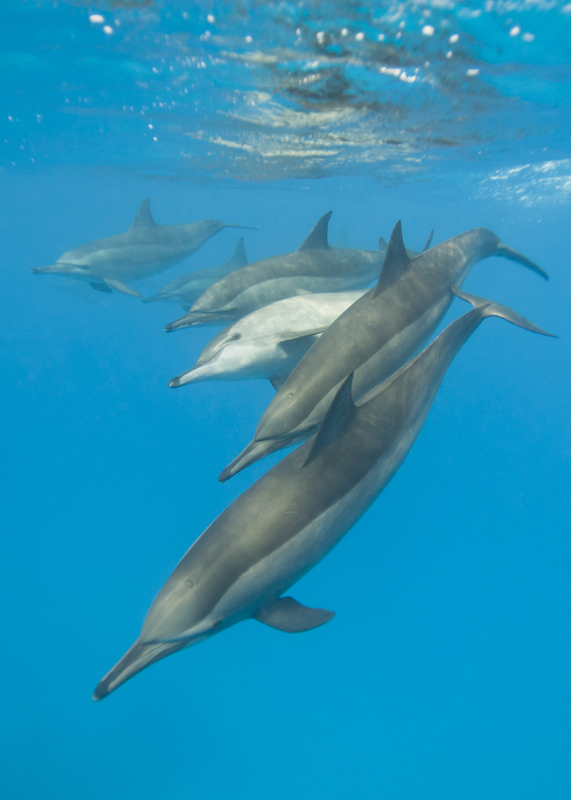 Dolphins are magnificent predators who have the right to be portrayed like you do. Also kudos for letting characters die. Okay I admit that sounds cynical but as much as I like stories where everyone survives the drama reaches new heights when characters die. I felt sorry for almost everyone who died in the first part of your trilogy. Except a certain traitor. The next thing I liked was, that you know how to let the reader assume something only show a few pages later, that you successfully fooled them. The dialogue between Sky and “One Eye” before and after they swam through the cave got me perking my eyebrows up. I can`t wait to read “captured”, I really, really need to know what happens next. On the other hand I`m frightened for Sky. The poor lad was put through quite a bit in the first part already. I`m curious if Sky meets “Ah-Nah” in the sequel, I wouldn`t be surprised if he did. Well whatever I guess I will just have to wait.